Automakers, much like sweaty-palmed teenagers, at their first dance are hustling for partners in this growing, uncertain world of ride-sharing before they’re left to wrestle with their angst over what might have been. In the last week, Toyota announced a vague, details-to-come hookup with Uber. Volkswagen infused $300 million into European ride-sharing start-up Gett. BMW’s i Ventures provided $5 million of seed capital for Scoop, a ride-sharing platform operating in the San Francisco Bay area. 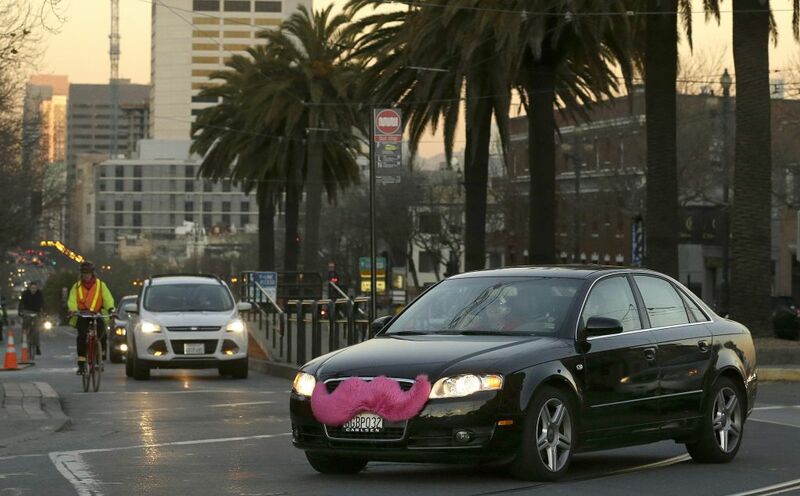 In January, General Motors invested $500 million for a 9% stake in Lyft. About 15 million Americans will use a ride-sharing service this year, a figure projected to grow to more than 20 million by 2020, according to eMarketer.com, a research website that studies the sharing economy. None of these new ventures, not even the leviathan Uber, is profitable. Their story is growth, the catnip of technology investors. They live in a different world from that of auto manufacturing. The major ride-sharing players don’t disclose their financial results because they are privately owned. But in February, Uber CEO Travis Kalanick said the company is profitable in the U.S., but lost more than $1 billion last year in China where it competes with well-funded Didi Kuaidi. So why the rush by established automakers to enter such risky territory? In Damodaran’s view, the ride-sharers need the carmakers even more than the reverse.